What is Instagram without filters? Doesn’t make any sense, right? That is what exactly a video is, without editing. Video editing is one of the important things in today’s digital generation because it’s the key to crafting a flawless video. For instance, you decide to record your screen online. Think about the uninvited notifications or the unwanted tabs that are open. All these affect the quality of your video. Even the videos created by the professionals have flaws. Like the videos, we watch on television. It takes a whole lot of editing to make something like that. However, all these flaws can be easily corrected by editing without having to redo the whole video. An unedited video is just a recording of an event. The footage cuts from one shot to the next, there is no music or any value addition. An edited video, on the other hand, is more creative and invokes an emotional viewing experience. The recording is edited with music, titles and transitions and a number of other elements to create a perfect video that captures the right action and emotion. A recent study says that more than half (58%) of the most-viewed videos were those that were edited in some way before they were uploaded to YouTube. Video editing is truly a savior! With the right editing skills, one can transform any regular video into a better one. Editing allows you to enhance the video with text to communicate right to the audience. Editing is also useful for trimming and merging videos seamlessly to the length you want. Editing allows you to review your video and change whatever that needs to be corrected. With the right set of editing tools to formulate the perfect video, you don’t have to re-record every now and then. Video editing can simply help you fix the issues. Trimming is fundamental to editing. It makes sure that your video starts quickly and you don’t lose your audience’s attention. 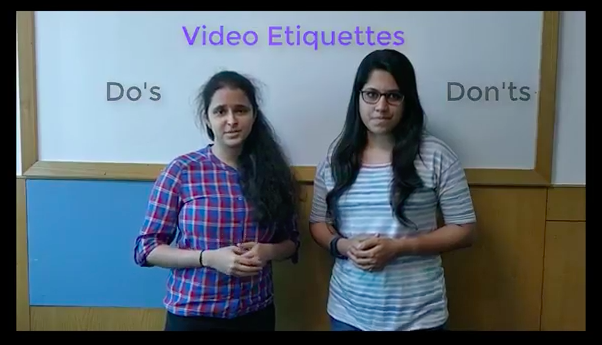 Trimming also helps you to cut out any unnecessary content or dead space in the video. Adding text to videos will provide the audience with an extra cue that helps them understand and retain the information in a video better. Every single element of text used in the video is made in line with what exactly you want to deliver with editing. The creative use of text and highlighting serves a number of purposes. It helps you create attention-grabbing content. These are a few reasons why editing is important in the process of crafting a video. It was just a few months back that we bid goodbye to the most commonly used Youtube editor. There isn’t a tool in the market that enables you to record videos easily as well as import videos and edit them easily. But, Hey wait! There is Hippo Video. Hands down Hippo Video is the easiest editing tool. It gives you both basic and advanced edit options. You can choose from the two variants depending on your editing requirements. Not only editing but creating videos with Hippo Video is also super easy. The bar to entry couldn’t be any lower. Hippo video is video creation in its simplest form. As technology continues to evolve, the ways in which videos are edited will continue to develop. With videos becoming the centre of the business world as well, video editing tools on the Internet have opened the doors to editing so that it is available to everyone. Go ahead and give Hippo Video a try, to see how much you can change a video from its original look and feel!